"...praise God for something He has done for the Psalmist, to offer thanksgiving in the form of worship. There are three main aspects to todah Psalms: 1) praise for a deed God has done or an experience of God by the Psalmist; 2) it is an immediate response evoked by God’s action; 3) the tone is one of joy" - Dennis Bratcher, "Patterns for Life; Structure, Genre and Theology in Psalms"). God hears (Psalm 18:6; 66:19). God delivers from the enemy.Our reading today is a great example of a deliverance story as David recalls Israel's escape from the Egyptians through the Red Sea (Psalm 124:2-5). 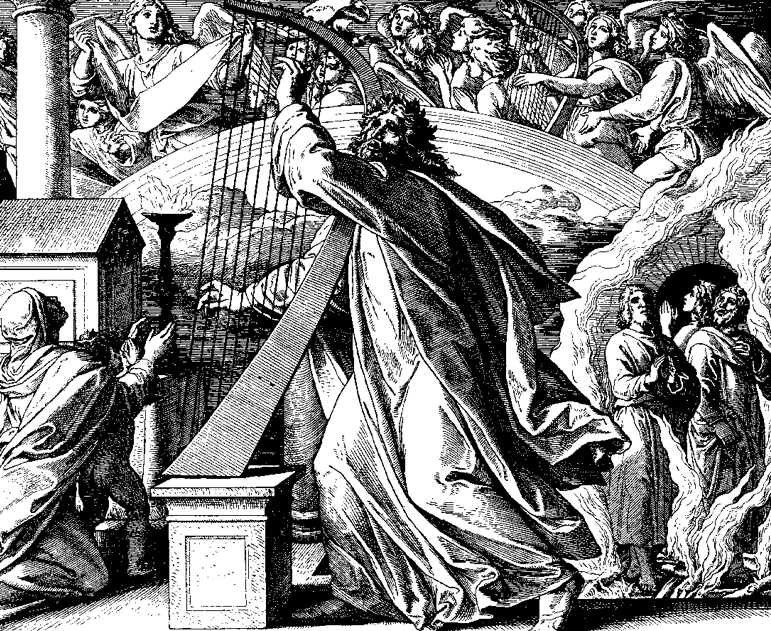 As we read Psalm 124 with its references to the Israelites' history, we might think of our own. Has God lately answered a specific prayer of ours? Has He brought healing? Are we grateful for His forgiveness? Has He delivered us from an enemy? If you or I wrote a todah psalm of thanksgiving what stories would it tell? Let's live today with Psalm 124's attitude of gratitude, praise, and hope because God has also been on our side. We too have escaped and "Our help is in the name of the Lord, / Who made heaven and earth" - Psalm 124:8. PRAYER: Dear God, thank You for Your presence and help in my personal history. Amen.